I, like most people on the planet, received an Air Fryer for Christmas. 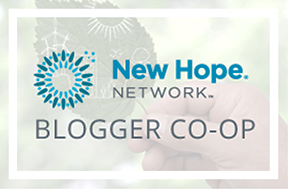 I’ve been playing with it over the past week and eating A LOT of cauliflower recipes. 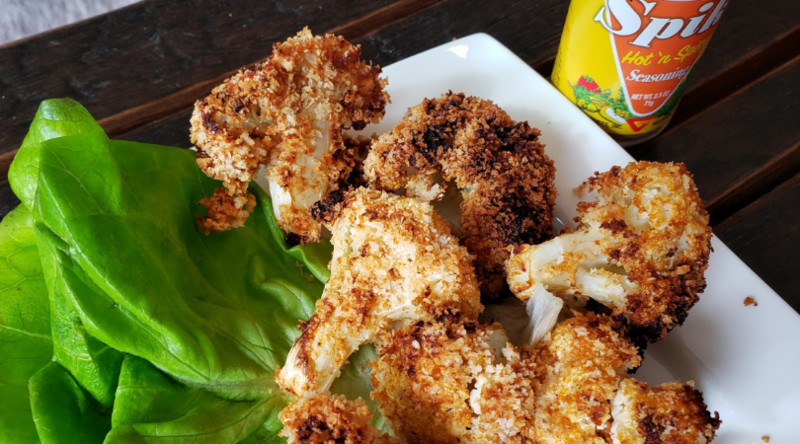 The first few tries fell flat, as I wanted a crunchy cauliflower exterior with a juicy interior, but was getting ‘barely’ toasty instead. 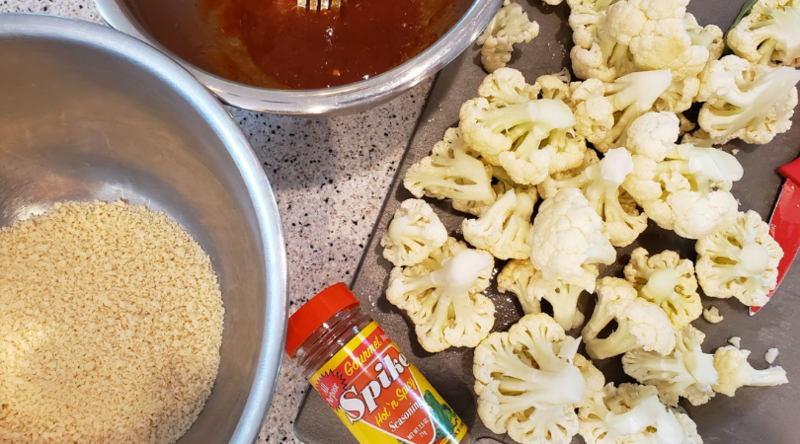 I think I finally found the balance for the extra crunch, and I used Spike Hot & Spicy gourmet seasoning to kick it up a notch. 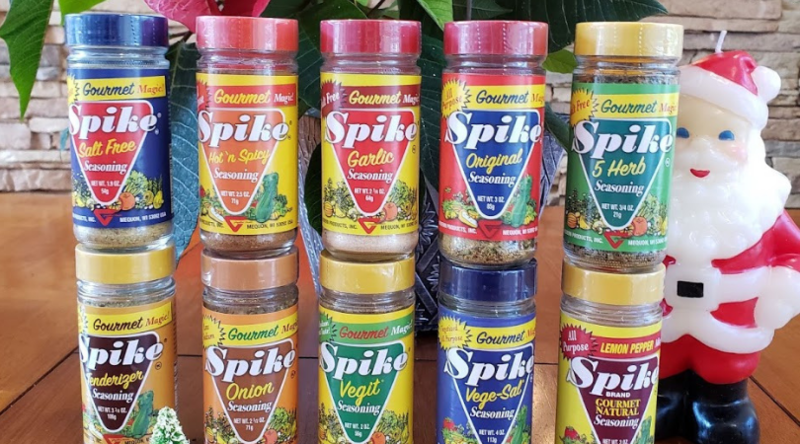 I love adding the Spike Gourmet Seasonings because they are all natural and add a multi-flavor depth. The Spike Hot & Spicy has salt crystals (earth and sea), cayenne pepper, hydrolyzed soy protein (NO ADDED MSG), garlic, soy granules, onion, black pepper, chili peppers, paprika, chili powder (chili pepper, cumin, oregano, garlic, salt), nutritional yeast, celery, lemon and orange peels, white pepper, red and green bell peppers, orange powder, dill seed, kelp, curry powder, horseradish, mustard, parsley flakes, rosehips, savory, mushroom, safflower, rosemary, basil, marjoram, thyme, oregano, tarragon, spinach powder and tomato powder. Make the wash first by combining the egg white, ketchup, olive oil, Spike seasoning, and hot sauce. 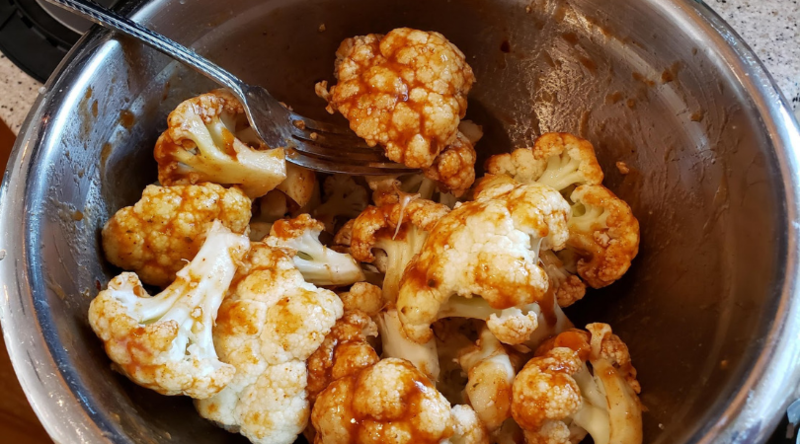 Wash and cut cauliflower into small chunks that are easy to grab. Coat each piece of cauliflower in the wash and then dredge in crumb mixture. 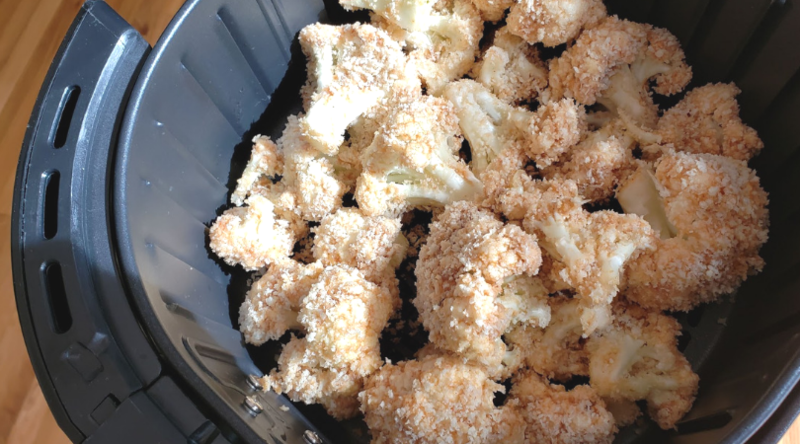 Place inside air fryer tray. 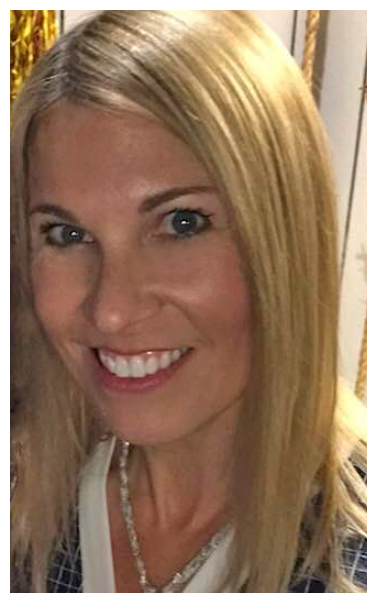 No need to add any additional oil! Set to 370 for 18 minutes. Eat as is, or serve with a blue cheese style dip or salad dressing! 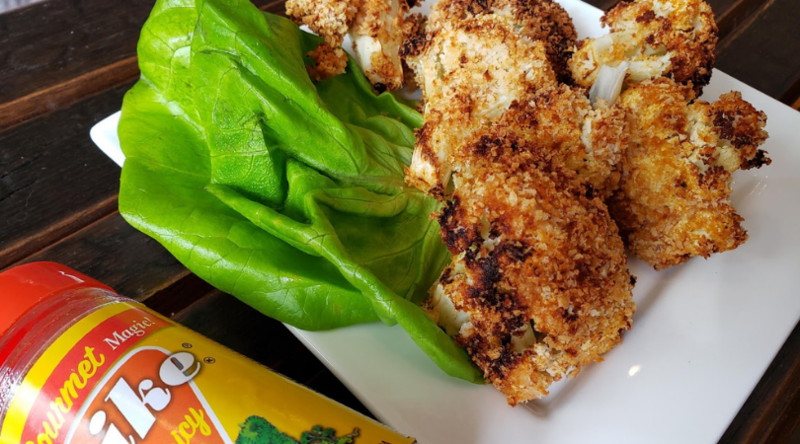 Spike’s Gourmet Seasonings come in a wide variety, so these will be fun to try out on other baked Air Fryer foods to keep the flavor big, but the fat calories low. 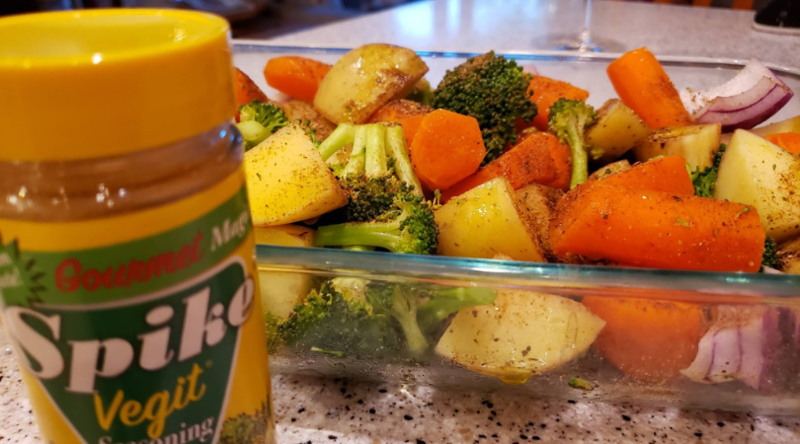 Find Spike’s Seasonings Magic in your local grocery stores!